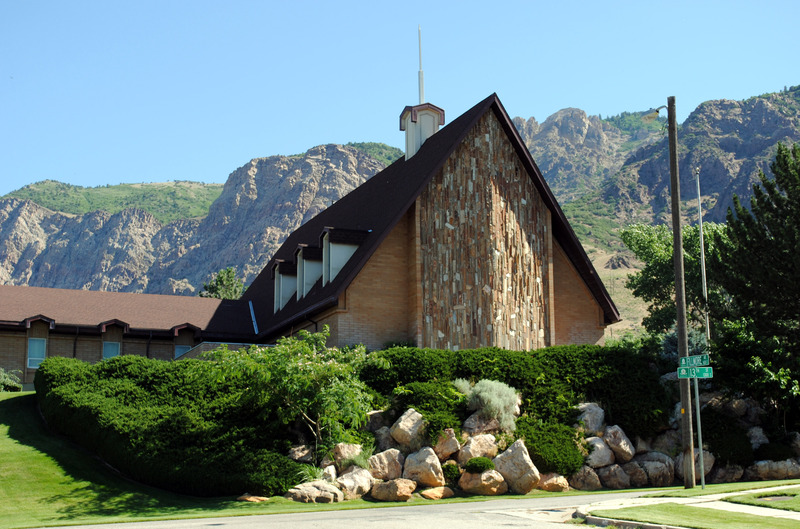 This was the first building we visited on the tour and also the oldest meetinghouse still standing in Ogden. The tour actually mostly went from oldest to newest. By a completely random fluke I stumbled upon the owners of this building in Layton so we were able to get inside and see the building. 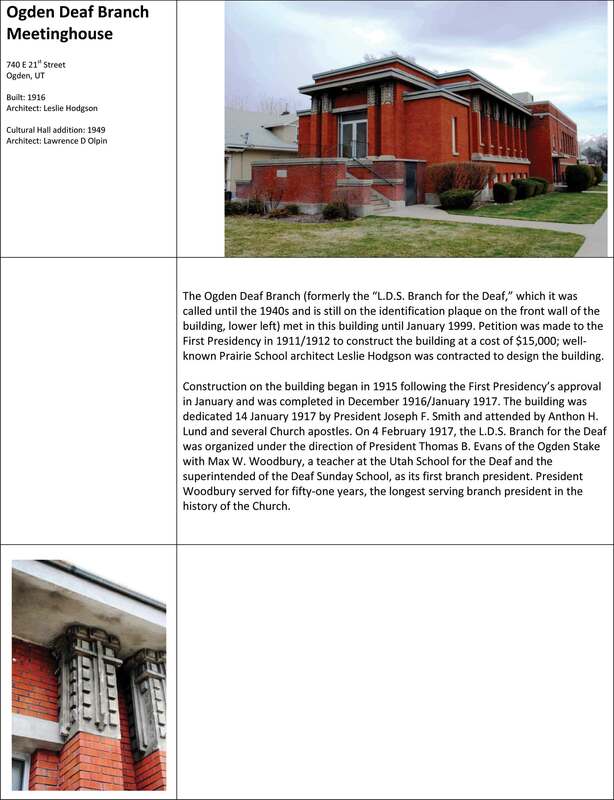 I’m excited they are going to renovate – it’s a great building and a great location. I’ll post interior pictures I took shortly. Soon to be renovated into a wedding reception center. Ward organized on Sep 20, 1908. Cornerstone for the building was laid May 14, 1909. 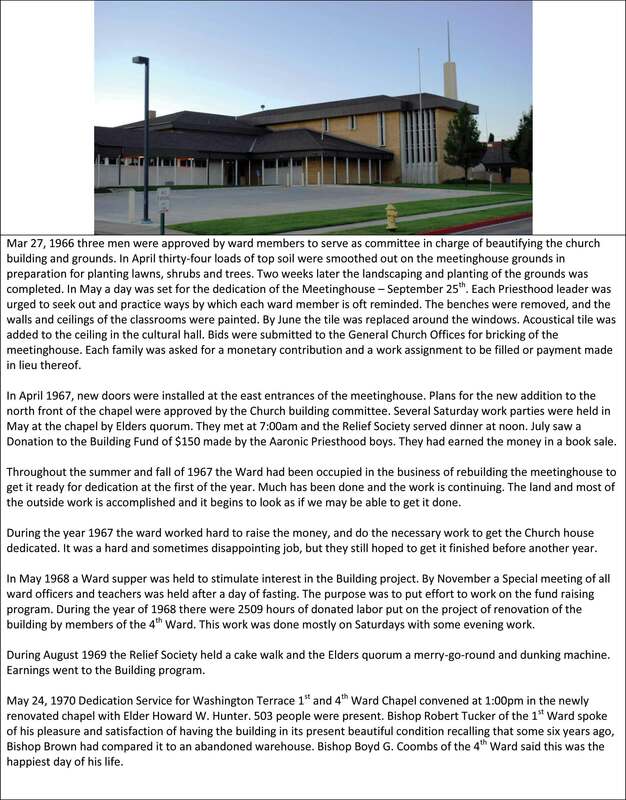 March 1930 the ward was busy erecting an addition to the meetinghouse intended for a Recreation hall. 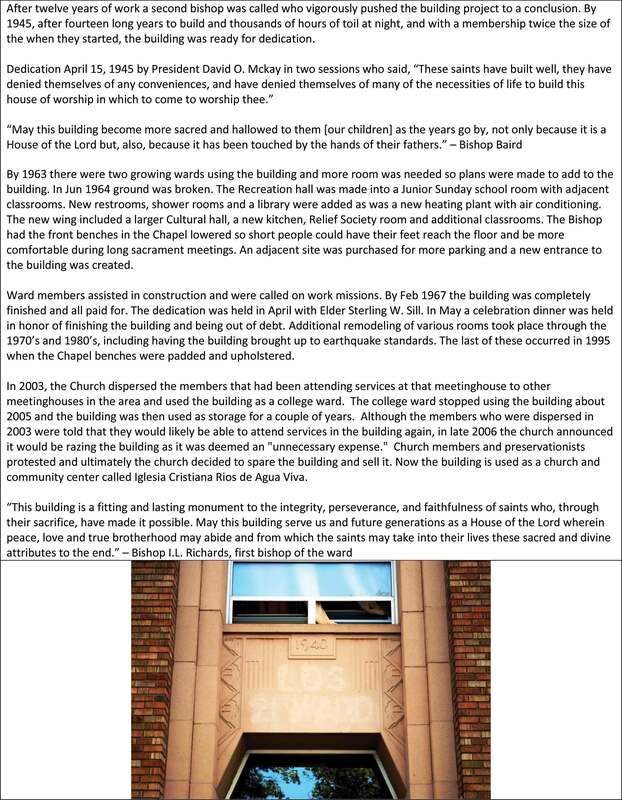 The building at this time was nearly completed, containing five classrooms, Relief Society room with kitchen, cloak rooms, dressing rooms, etc. 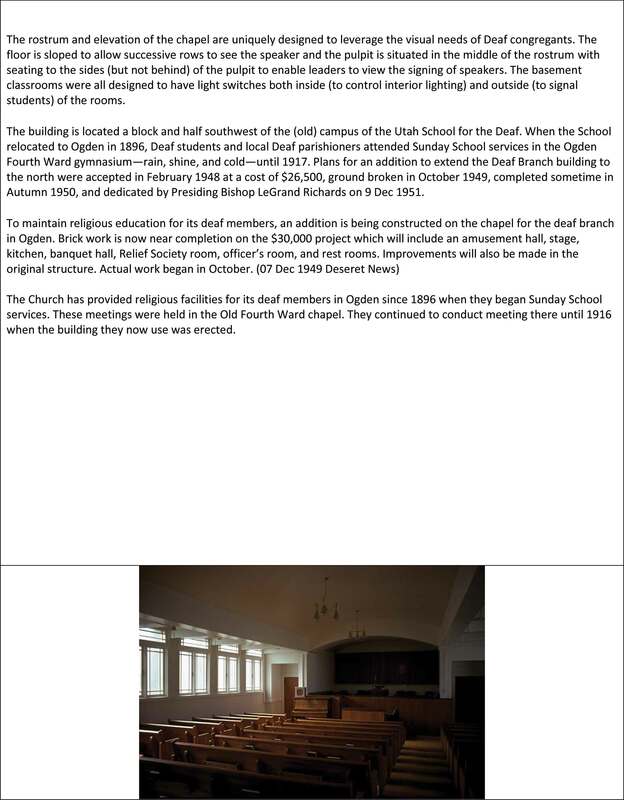 The new building cost $60,000 including a number of improvements and a general renovation of the chapel. 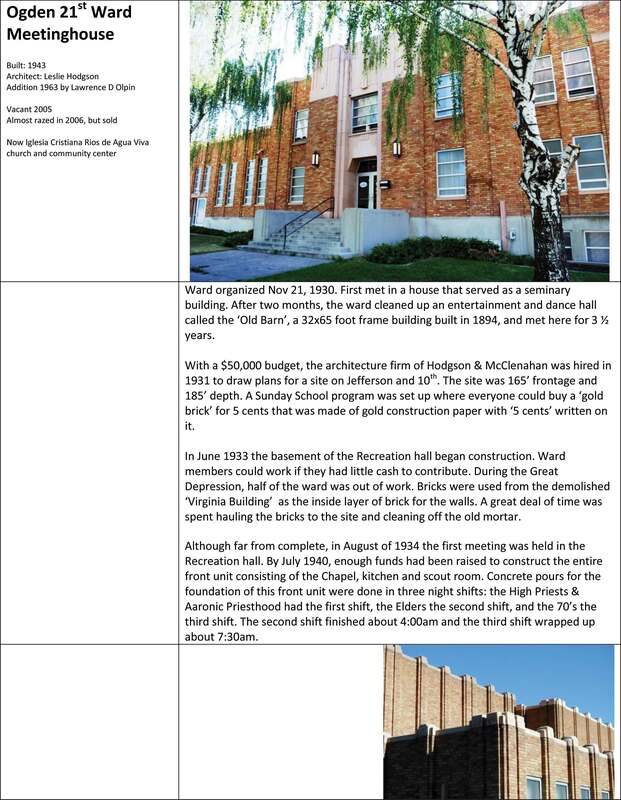 Sep 20, 1936 Started on the renovation of the ward chapel and the completion of the Recreation hall. In December, President Heber J. 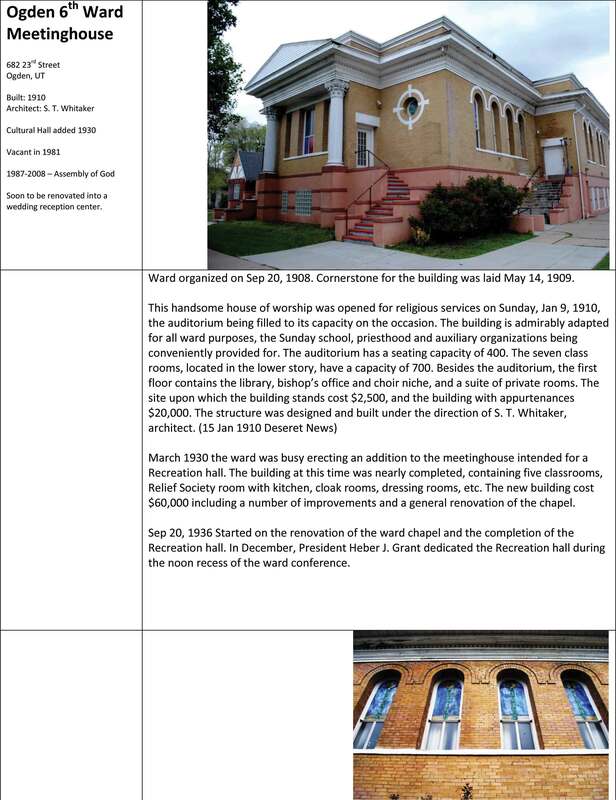 Grant dedicated the Recreation hall during the noon recess of the ward conference. 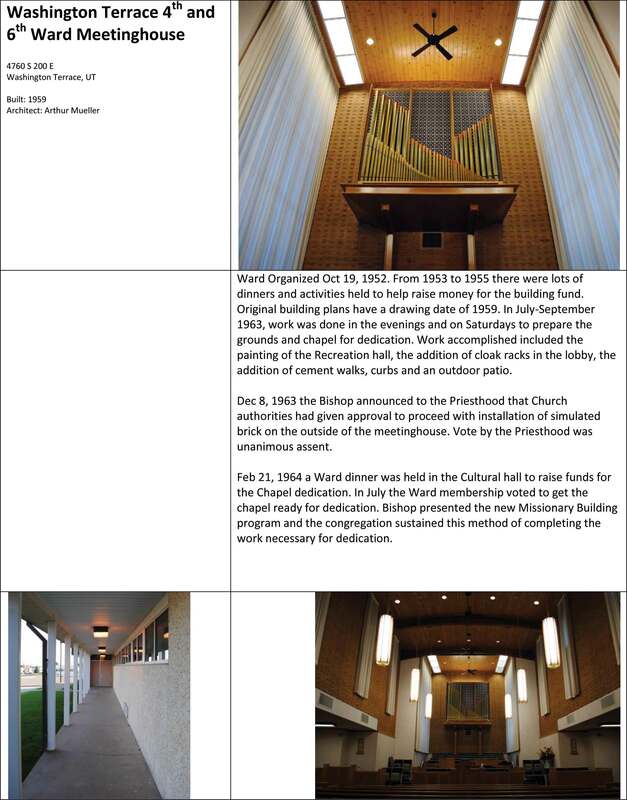 Mar 29, 1957 Plans to remodel the 6th ward chapel have been estimated and a fund drive was held. $1000 was collected. Remodeling was started in May. Dec 1962 A new landing between the amusement hall and the outside was poured. Feb 1963 The building sustained some damage during a windstorm. There were some bricks on the chimney that fell and the door in from the east side of the building was wrenched from its hinges. Damage was repaired during the next week. 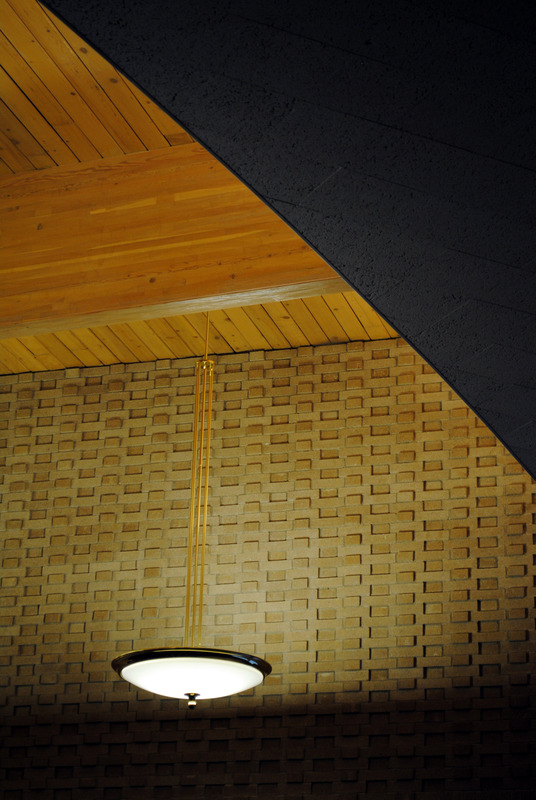 Oct 1966 Repairs and decoration of the cultural hall began and were completed in December. 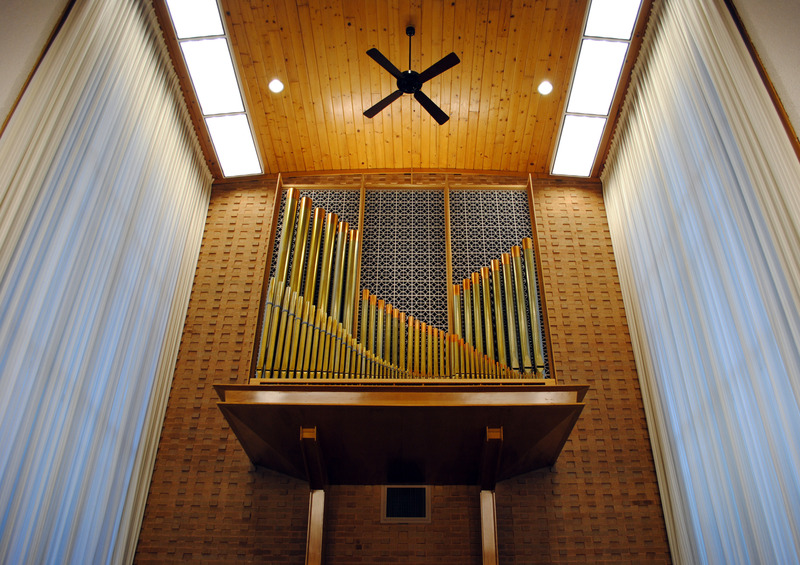 Nov 6, 1966 Lightning struck a transformer near the west side of the meetinghouse causing high voltage to enter the building. 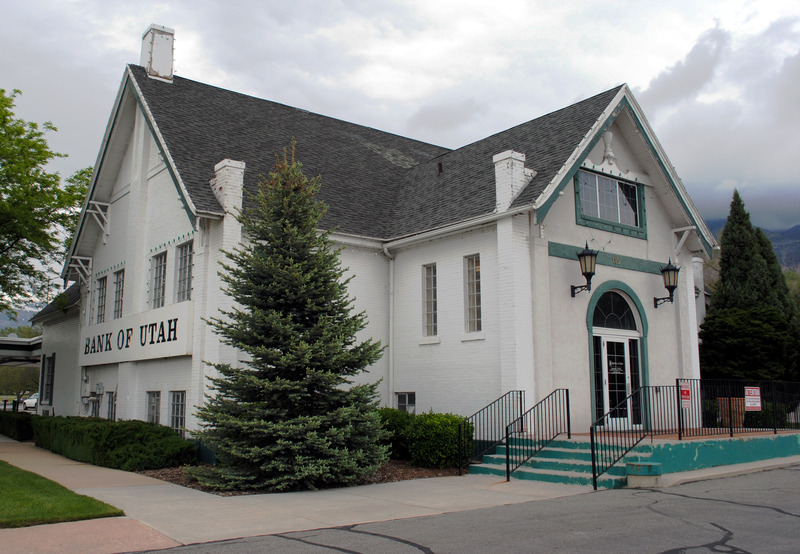 Utah Power and Light technicians failed to reason why the building did not catch fire. A specific mention of the building to be protected from fire was found in the Dedicatory prayer by Apostle James E. Talmage in 1910. 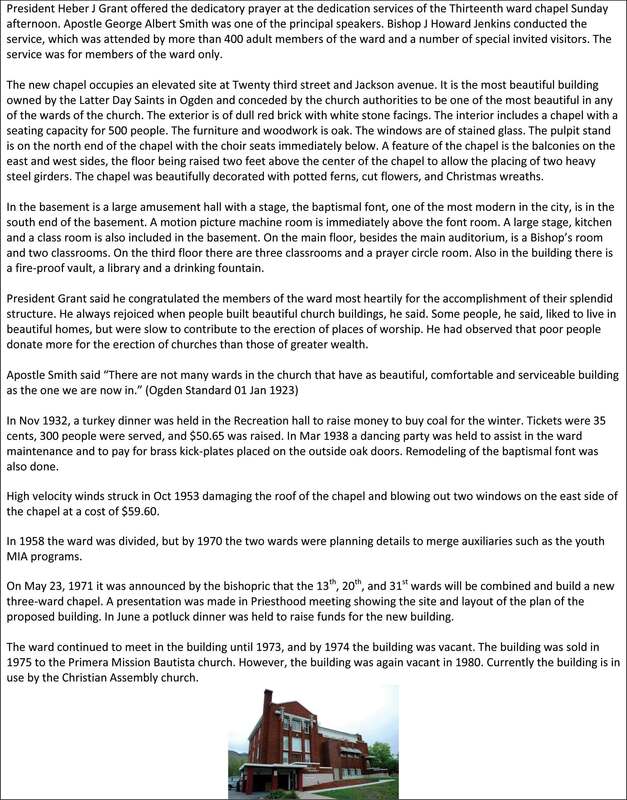 Also in November, the Remodeling of the Junior Sunday School Rooms per instruction of the Church Youth Guidance Committee is progressing nicely and should be completed by January. Mar 1967 Southeast basement corner of building is remodeled into special rooms and reception center for Youth Counseling and Instruction, which is a new program of the Church in conjunction with the Relief Society. Mar 1972 Fund raising dinner held for building repairs. 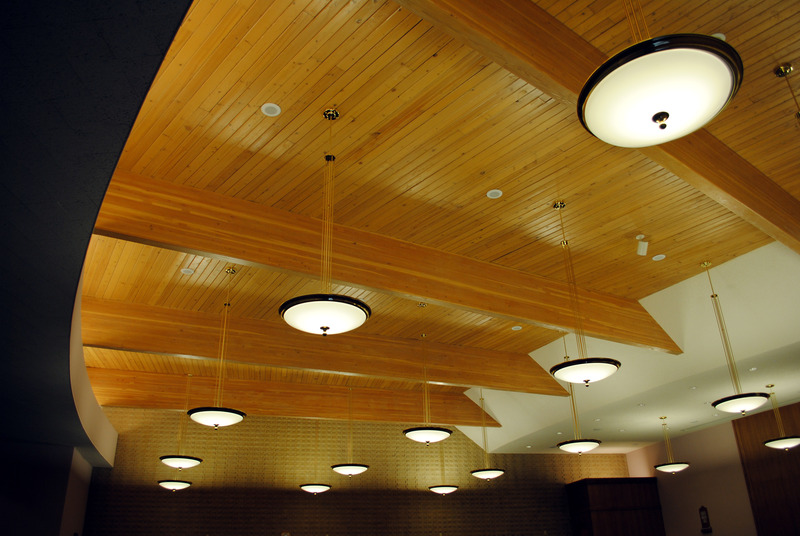 New ceilings and lights in hall and Relief Society room downstairs were installed in April. 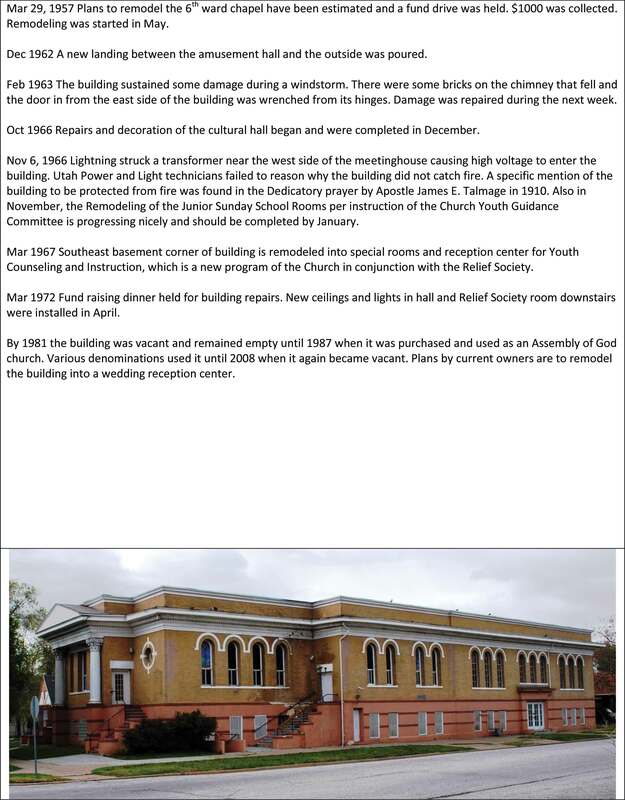 By 1981 the building was vacant and remained empty until 1987 when it was purchased and used as an Assembly of God church. Various denominations used it until 2008 when it again became vacant. 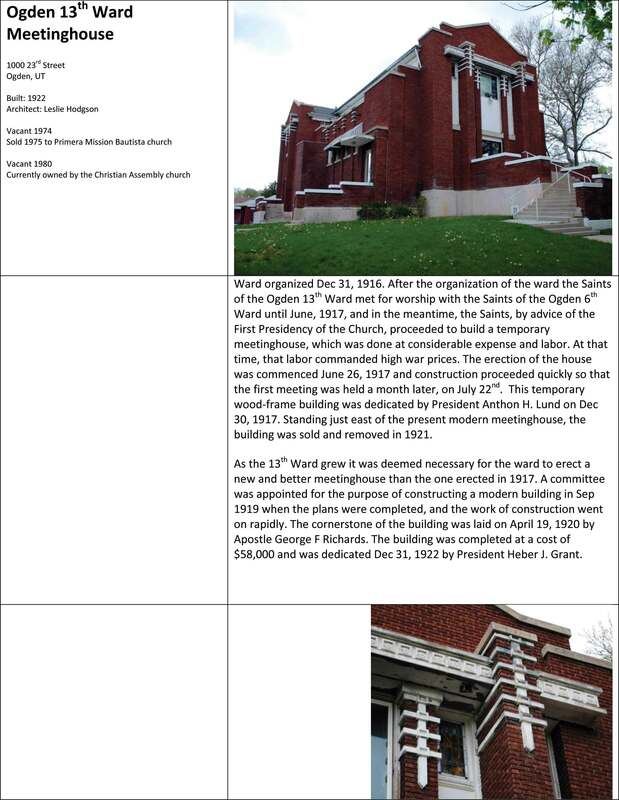 Plans by current owners are to remodel the building into a wedding reception center. I stumbled upon this building recently and was struck by its use of local stone which ties it to the surrounding landscape quite nicely. I am unsure of the original name of the building or its date of construction.